At all times since New Zealand was first settled by Pakeha, the largest single group of immigrants has been the English. But the very dominance of the English strain in New Zealand has made it virtually invisible. If such a large portion of the population are of English descent, then English-derived customs and habits of thought are taken as the New Zealand norm, and therefore not worthy of special study. Irish-, Scottish- and other-derived customs and habits of thought are seen as deviations from this norm, and therefore of greater historical interest. The English strain is merely part of the landscape. Recently in our universities there has been an upsurge of interest in our Celtic forebears. History departments offer courses and papers in Irish and Scottish studies, and many academics have contributed to these studies, including Lyndon Fraser and Angela McCarthy. Fair enough. Older – and now superseded – history books tended to be very Anglo-centric in the judgements they made, often conveying uncritically ideas about English skills as colonisers and settlers in the Wakefield and Canterbury myths. But perhaps the pendulum has swung a little too far. Perhaps papers and monographs on West Coast Irish and Dunedin Scots have begun to give the impression that these were the only interesting nineteenth century immigrants to New Zealand. Maybe the time is right to say something, with real documentation, about specifically English immigrants and their experience. This, at any rate, appears to be the impulse behind Far From ‘Home’, a collection of eight academic essays by various hands. From different perspectives, the essays look at the Englishness of immigrants between 1840 and the early twentieth century with, in some cases, briefer afterthoughts on the situation since then. In their introduction the editors make it plain that Far From ‘Home’ can hardly be the last word on the topic. Among these essays there is, for example, no systematic study of the religion that the English brought with them, unlike the way migrant studies of the Scots or Irish inevitably discuss their Presbyterianism and Catholicism. As I see it, the eight essays divide into two types – those that give the necessary documentation on English migration in general; and those that offer some quirky or individual perspective. Take the “necessary” essays first. Stephen Constantine’s contribution “In Search of the English and Englishness” is the inevitable demographic study making clear that of British emigrants to any part of the old empire, the majority were always English rather than Scots or Irish, but that majority was never as great a proportion of the total as the majority of English was in Britain itself. For example, by 1901, and judging from their points of departure, British immigrants to New Zealand were 54% English, 23% Scots, 21% Irish and 1% Welsh. In Britain itself, the English made up 74% of the total population, the Irish and Scots about 11% each, and the Welsh 5%. Even if the English were the largest group, therefore, New Zealand was proportionately more Scots and Irish than Britain itself was. To compound this fact, Constantine also notes that many immigrants listed as “English” in demographic records were people of Irish and Scots parentage who had settled in England only a short time before emigrating to New Zealand. The contribution of Lachlan Paterson “Pakeha or English?” raises the obvious question of whether the indigenous people saw any difference between the various strands of British immigrants. Ingarangi (England) and Ingarihi (English) tended to be used by Maori as synonyms for “Britain” and “British”. Drawing extensively on both Maori-language and English-language nineteenth century newspapers, Paterson argues that Maori also tended to see “English” and “Pakeha” as synonymous. Because the English were numerically the largest immigrant group from Britain, it was predominantly their culture which became the Pakeha norm in Maori eyes. As for the perspective of English immigrants themselves, David Pearson’s “Arcadia Reinvented?” differs from other essays in this book by being based on the twentieth century experience of living witnesses. 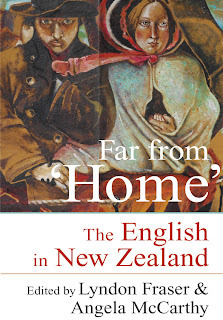 Drawing on 82 long interviews with English immigrants who arrived between 1953 and 2007, Pearson attempts to reconstruct their attitudes and reasons for coming to New Zealand, and their attitudes towards both New Zealand and Britain after they had put down roots here. He sees some differences in attitudes between pre-1980s and post-1980s migrants. Thus far for the sensible, inevitable and “necessary” essays in a collection of this sort – an essay on demographics; an essay on how English immigrants were recruited; an essay on Maori understanding of immigrants; and an essay on English immigrants’ self-understanding. As source material they are valuable, but I admit to finding the remaining essays in the book – namely those that take a more unexpected aspect of the English influence – to be more readable and entertaining. Greg Ryan’s essay “ ‘Burton ale’, London Porter and Kentish Hops” concerns the production of beer and beer-drinking habits in New Zealand. Most beer consumed here was imported from England until the mid-19th century. Ryan recounts such bizarre tales as brewers of inferior local beer in Dunedin seeking out empty bottles from England so that they could palm off their inferior local product as the real English thing. From his account it is clear that New Zealand-brewed beers were regarded as much inferior to imported English varieties right into early 20th century and only gradually was a distinctive New Zealand beer standard established. Angela McCarthy’s “Migration and Ethnicity among English Migrants in New Zealand Asylums” notes that while the English made up the largest group of inmates, they were not as over-represented in New Zealand psychiatric institutions as the Irish were. Her speculation on why this should have been so suggests how the “scientific racism” of superintendents’ notes on patients did not apply to English patients, whose ethnicity was not commented upon. In other words, English aberrations and eccentricities could be accepted as “normal”. Irish (and other ethnic) eccentricities and aberrations would be regarded as dangerous mental ailments. Lyndon Fraser’s “Memory, Mourning and Melancholy” concerns English attitudes to death and funerary customs as revealed in New Zealand cemeteries and other records. It is more diffuse and, dare I say it, more entertaining than some more tightly-structured essays in this volume. Fraser says much of his material comes from records in the more “English” settlements of Canterbury and Nelson, but he also quotes extensively from English imaginative literature. He considers the extent to which middle-class and upper-class funerals had been commercialised and become ostentatious in the nineteenth century, in a way that was often ridiculed by writers like Dickens and Emily Bronte; and that was later frowned upon in New Zealand. He considers the frequency of child mortality (“Death tracked birth like a bloodhound in the nineteenth century and, as the Christchurch registers show, exacted a terrible toll on infants and young children.” Pg.115 ). To his immense credit, Fraser enters into the spirit of the age he is writing about, and deals respectfully with the words of comfort – which can seem sentimental to us – which grieving parents had engraved on the tombstones of children. He also notes the real comforts of religion which nineteenth century mourners were given. In nineteenth-century New Zealand there was the habit, inherited from England, of carving up municipal cemeteries into denominational plots. There is a bizarre side to Fraser’s chapter when he deals with funerary portraits, trinkets, mementi mori and other keepsakes of the dead. Even more bizarre are his comments on the dangers of burial at sea for immigrants en route to New Zealand (sharks were likely to feed on “buried” corpses descending through the briny). If this chapter has a weakness, as far as the overall theme of the volume is concerned, it is a failure to point up the Englishness of it all by showing how these English mortuary practices differed from those of the Irish and the Scots. The final essay, Janet Wilson’s “ The ‘New Chum’ ”, examines “Writings of the English Diaspora in New Zealand 1860-1914”. It marches through that New Zealand-English poetry which is no longer esteemed (Alfred Domett attempting to transpose Victorianisms into heroic epic by the use of Maori names); and that which is still esteemed (Blanche Baughan). It does the same with novels and prose from Butler’s Erewhon, and the works of Lady Barker to Satchell’s The Greenstone Door. In each case, Wilson considers how much these writers expressed a certain dislocation in adjusting to a radically different climate and landscape, and how much they attempted to depict New Zealand according to established English literary norms. 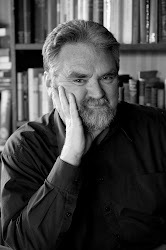 Wilson’s judgements are very much those of the current lit-crit “revisionism” (as in Stafford and Williams’ Maoriland) which refuses to see authentic New Zealand literature as beginning only in the 1930s, and which sees much literary merit in those colonial perspectives that were once regarded as passé. In other words, Wilson does not accept the “nationalist” idea of New Zealand literature which saw it as becoming more “authentic” the further it got from the colonial era. She posits that our literature will always to some extent be connected with that of Britain and ends with comments on the (New Zealand-born, English-resident) Fleur Adcock; and (English-born, New Zealand-resident) Peter Bland. As you can see from these extensive comments, I have retreated into my common trick of summarising this book’s contents without passing too much judgement upon them. Of course Far From ‘Home’ will be a great source-book for researchers and other historians. Of course not all the essays are written with the same panache and style. Only two other comments need be made. First, I am still a little uneasy about the use of the term “diaspora” (“scattering” or “dispersal”), which is justified in the editor’s introduction and which is most clearly explained in Janet Wilson’s essay, where she says “migration” suggests going from one culture to another whereas “diaspora” suggests taking your culture with you and trying to implant it. Very well. I accept that in this sense the term can be justified of English emigrants. Nevertheless, ‘diaspora’ is still most commonly used for forced migration (as in the Jewish diaspora after the destruction of the second temple; or the Irish diaspora after the famine). I think it remains an inappropriate term for an English migration that was largely voluntary. To overuse the word is to drain it of any real meaning. 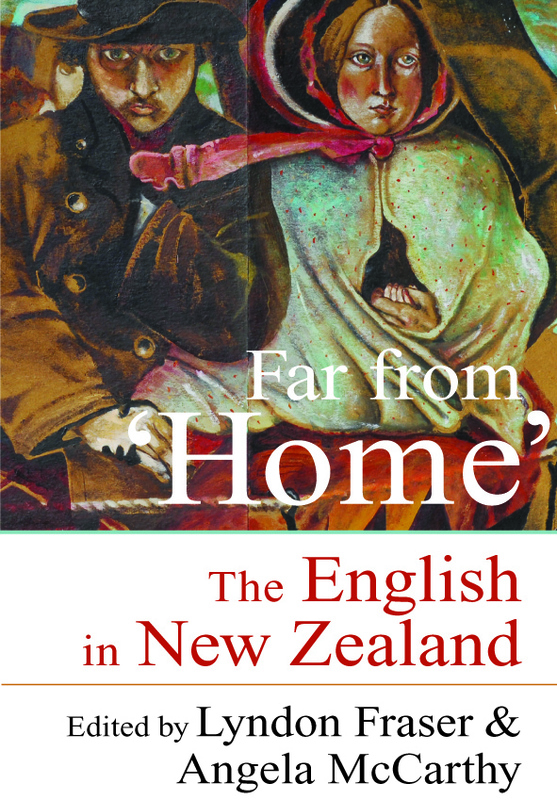 Second, while some essays in this book do raise the problem of defining “Englishness”, I am not satisfied that all essays really tell us how distinctive English immigration to New Zealand was from Scots or Irish migration. As with the matter of English religious practice, this could mean that there is much more study yet to be done on this topic.